All the cheese! All the time! 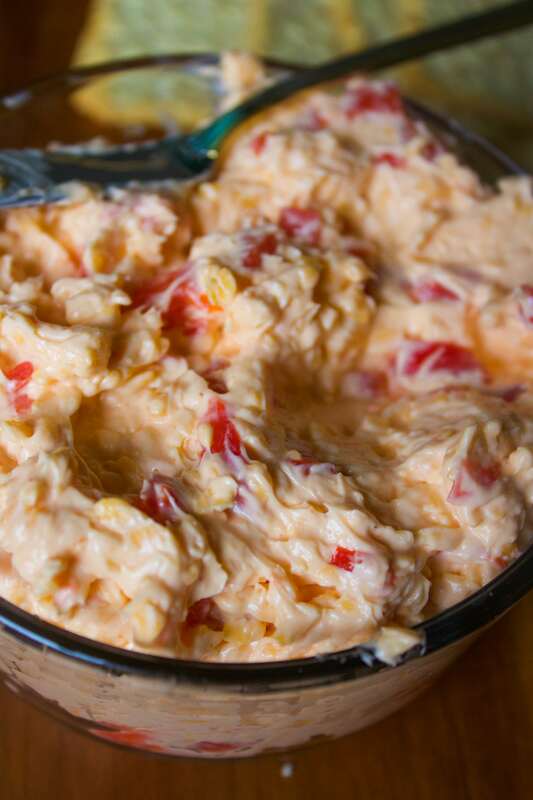 This dip definitely tastes like the south. You’re basically required to drink it with sweet tea and scoop it up on crackers while sitting on your back porch. At one point in my life I actually thought that you could only get it in the south. Like it was some foreign mystical concoction that comes straight from Georgia and you only get it if your family brings it to a family reunion. Then one day I learned you can make your own. That was a great day. My sister, Elisa, got married in August and I was the maid of honor and Chelsea was a bridesmaid. We got tasked with throwing a shower leading up to the big day and we chose to throw her a high tea bridal shower (we’re so fancy). So obviously we had mini tea sandwiches. They’re actually the cutest little things ever. 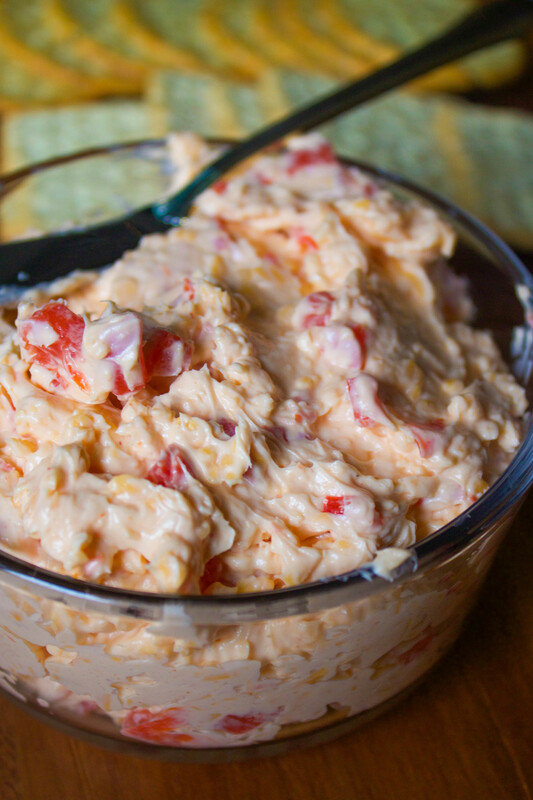 We had cucumber, cream cheese and dill and of course pimiento cheese sandwiches. OH MY GOD. That’s where the inspiration for making my own came from. Generally I love any form of cheese dip, but this dip is da bomb. It’s just so smooth and creamy. It’s got a slightly sweet taste from the sweet red chiles (aka pimiento chilis) and a salty bite that makes it just right to top on a cracker. I think you should probably go do that now. Like pile it reaaally high. You won’t regret it. I initially made this to take it to a tailgate, but then didn’t end up going (I promise I try not to be anti social all the time). So what do you do with extra dip( besides eating it by the spoonful of course)? Put it on a grilled cheeeese. Yep, that’s what I did. With a secret special ingredeint. So get pumped because that’s coming soon! 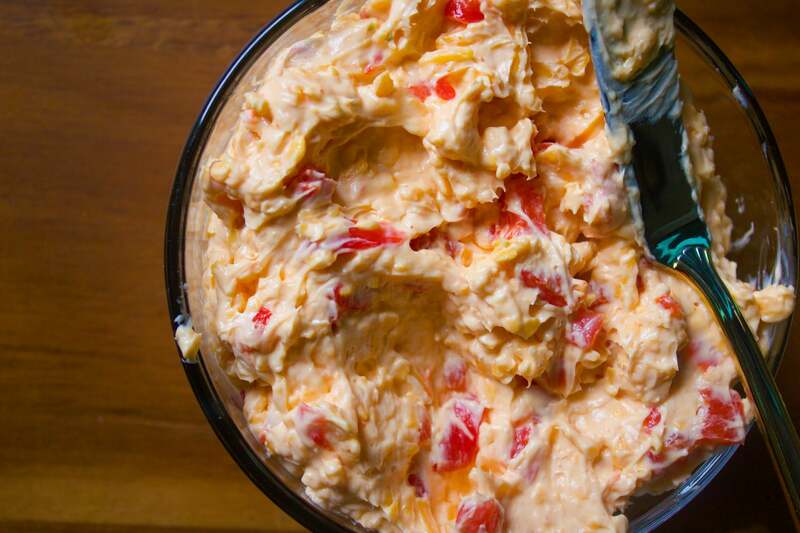 Smooth, creamy and cheesy dip! It's perfect with crackers or on a sandwich! With an electric mixer, beat all ingredients until creamy and well combined.